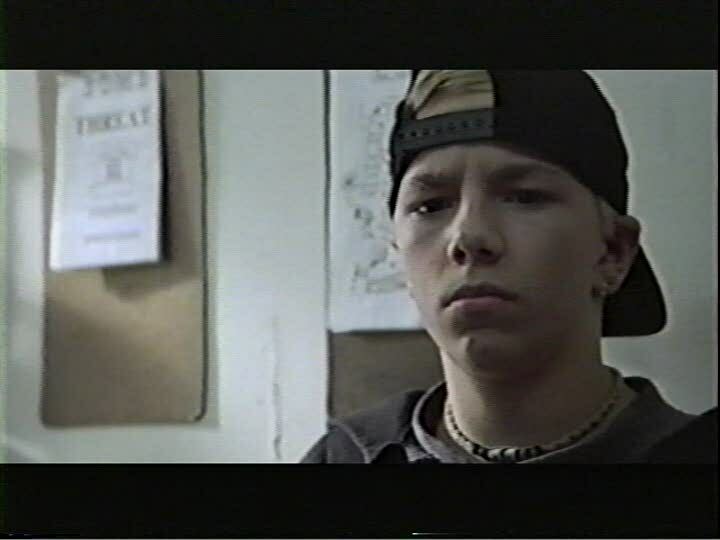 1999, Starring Kett Turton, Crystal Bubl, Brendan Fletcher, Sean Amsing, Brent Glenen, David Lovgren. Directed by Scott Smith (Giraffe Films). Forget about timber and fur, Canada's biggest national export has always been hard-hitting teen melodrama. Spurned on by the incredible success of the Degrassi franchise, which is still going strong after more than two decades, a second wave of angsty imitators cropped up on TV in the early 1990s, including such shows as Madison, Northwood and Straight Up. 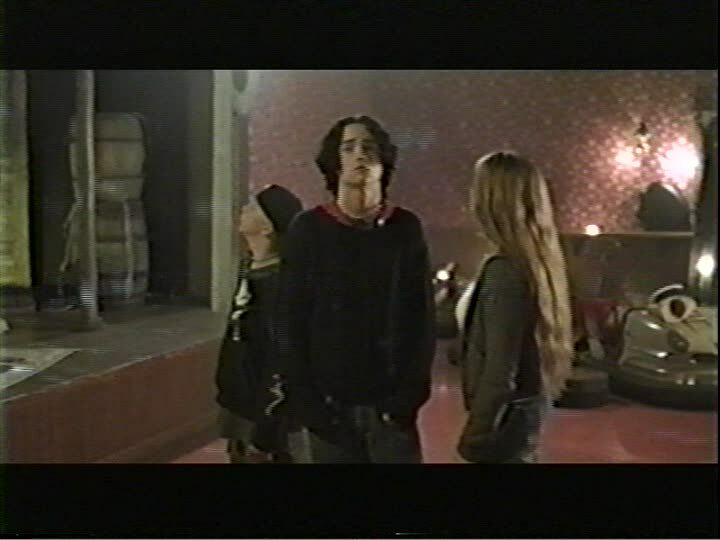 As is so often the case with the Canadian film industry, however, what plays well on television doesn't always work on the big screen, and nowhere is that more apparent than in Rollercoaster, a Vancouver-shot coming-of-age film directed by Scott Smith that picked up the Most Popular Canadian Film Award at the 1999 Vancouver International Film Festival. 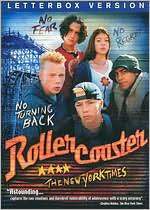 Armed with all the drugs and booze they can handle, Rollercoaster's troubled teens Darrin (Kett Turton), his girlfriend Chloe (Crystal Bubl), hyperactive jock Stick (Brendan Fletcher), their friend Sanj (Sean Amsing), and Darrin's quiet younger brother Justin (Brent Glenen) escape from their group home and break into Wonder World, an abandoned amusement park. They hope to convince the park's reputedly friendly security guard, Ben (David Lovgren), to operate a few rides for them. But what starts out as innocent fun quickly turns dark when it's revealed that Chloe is pregnant with Darrin's baby, and has planned to end the day by leaping off the top of the rollercoaster with her one true love, thus going down in the annals of popular teen lore. Despite being named after an exhilarating amusement park ride, Rollercoaster is anything but a thrilling experience, and never feels like anything more than a nihilistic extension of its TV brethren. It should come as little surprise that director Smith cut his teeth on Madison, and he's even joined on this film by several of his old Madison cast members, including Sean Amsing, Crystal Bubl (sister of Canadian crooner Michael), and David Lovgren. While the young cast does an admirable job capturing the troubled teen protagonistsafter all, they've been doing just that for years'smith's script ultimately derails as it speeds heedlessly along the track. The fledgling director does manage to capture some genuine teen moments, and appears to have some insight into what makes these kids tick, but there's just not enough meat here to sustain a whole picture. As a result, we get lots of shots of the teens wandering aimlessly through the park, glancing at rides and trading loaded comments about their difficult pasts, but it all feels rather forced. As opposed to Gary Burn's purposely lackadaisical but still poignant Kitchen Party, Rollercoaster's kids seem stuck in neutral, waiting for the plot to advance, which has to be meted out in small doses to stretch the thin premise over 90 minutes. This becomes especially problematic since several of the kids are woefully underwritten, especially Sanj, who really has no purpose in the film other than for his part in a secret revealed in the film's final act. With only a handful of lines, he's less a character than a plot point in waiting. Compounding the artificiality of this "realistic" teen film is the script's incredible lack of subtlety. At one point, the suicide-planning Chloe's suppressed maternal instincts are roused by a digital pet she finds on the ground, while later, she picks up an infant's abandoned shoe. In another scene, we see Justin frustrated, trapped in the glass maze of a fun house. None of these scenes figure properly in the narrative, they're presented as purely symbolsand heavy-handed ones, at that. But Rollercoaster does have some things going for itit makes great use of a small budget, a tiny cast, and a great location (Vancouver's PNE amusement park, Playland). With only six actors running around a vast amusement park, Scott nails an atmosphere of isolation and despair, and is able to infuse the film with an impressive amount of melodrama. An interesting subplot that has Stick molested by the pedophilic security guard, ultimately overshadows the suicide pact story and ends up being the film's most compelling aspect. 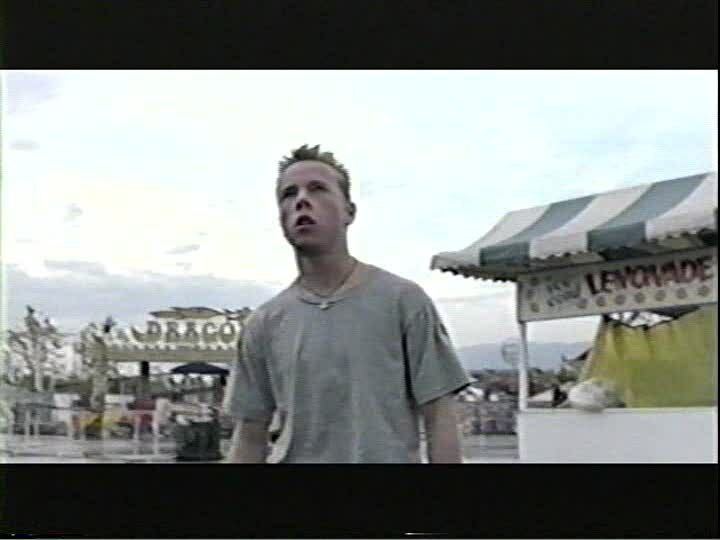 Scenes after the attack of Ben operating the rides takes on a new, sexually charged meaning, thanks to an impressive performance by Brendan Fletcher. Even still, these kinds of controversial issues have been Canadian teen TV staples for years. Rollercoaster, however, doesn't benefit from season upon season of character development that these small-screen dramas have traded in, and its teen protagonists ultimately feel flat and underdeveloped. In the end, Darrin and Chloe are simply more representative of a teenage mindset than they are believable, living-and-breathing kids, a fact that makes Rollercoaster a far tamer ride than it sets out to be.